autumn leaves | Phil – Refuelled! 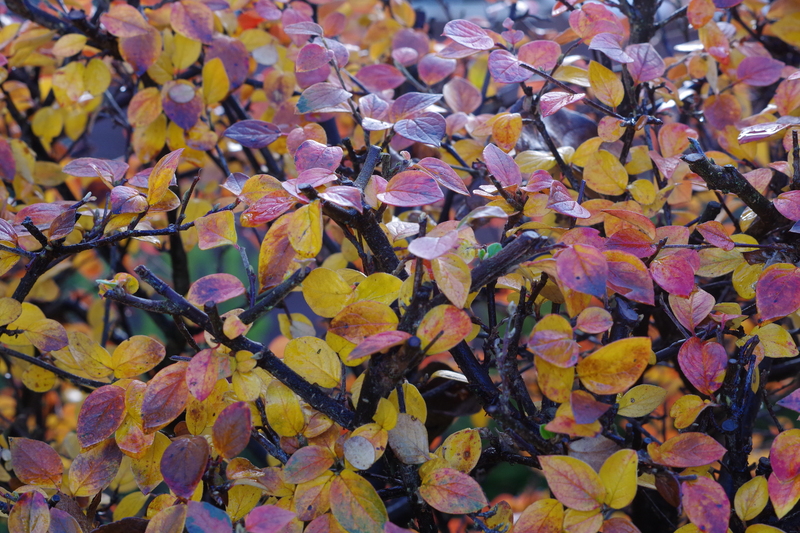 Today, I wanted to convey the wintery chill along with the autumn colours. I found how to do this without really thinking about it very much. As it happened, it was convenient to shoot into the afternoon light, giving the bluish reflections from the wet leaves near the top of the picture. Does it make you shiver? As I’ve remarked before, autumn can get very dreary and dismal, but today was definitely not one of those days. Sunlight at a low angle gave some marvellous effects. Once again, daylight proved to be the most amazing light of all. 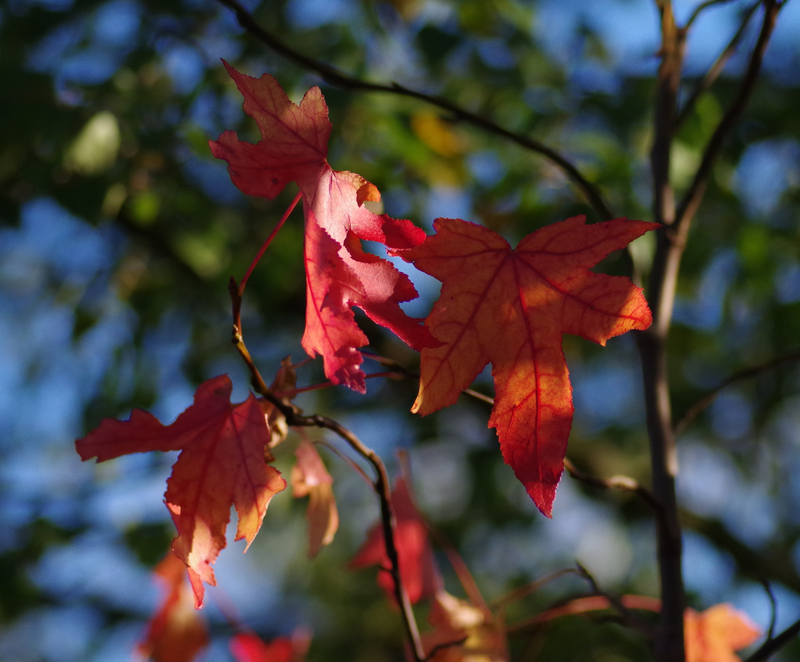 The obvious, and yet amazing, thing to say about autumn leaves is that they are all different. Every single one. 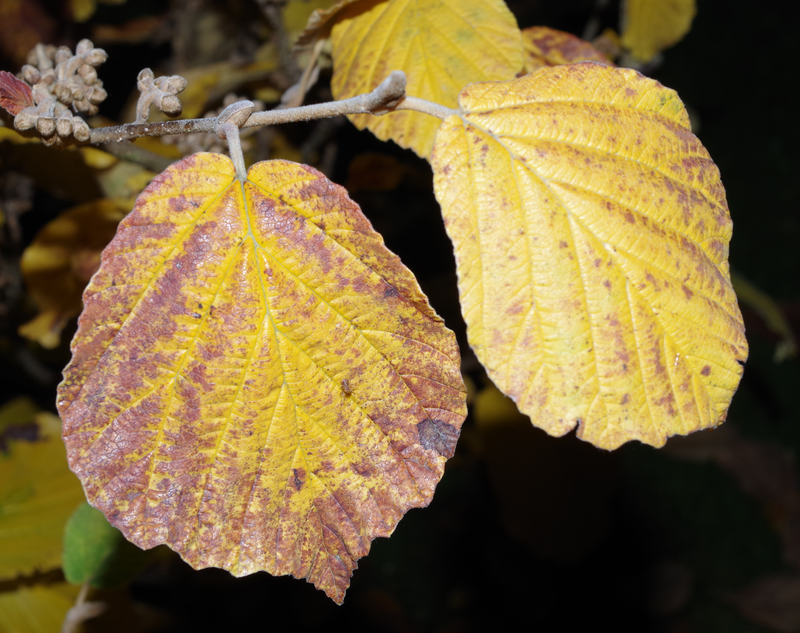 These hamamelis mollis leaves caught my attention last night. We live in a commercialised world that tells us that perfection is beauty. But just take the time to look at nature, and you’ll see, in perceived imperfection, amazing beauty. What a lesson! Xanthophylls are a family of natural yellow substances found in nature. 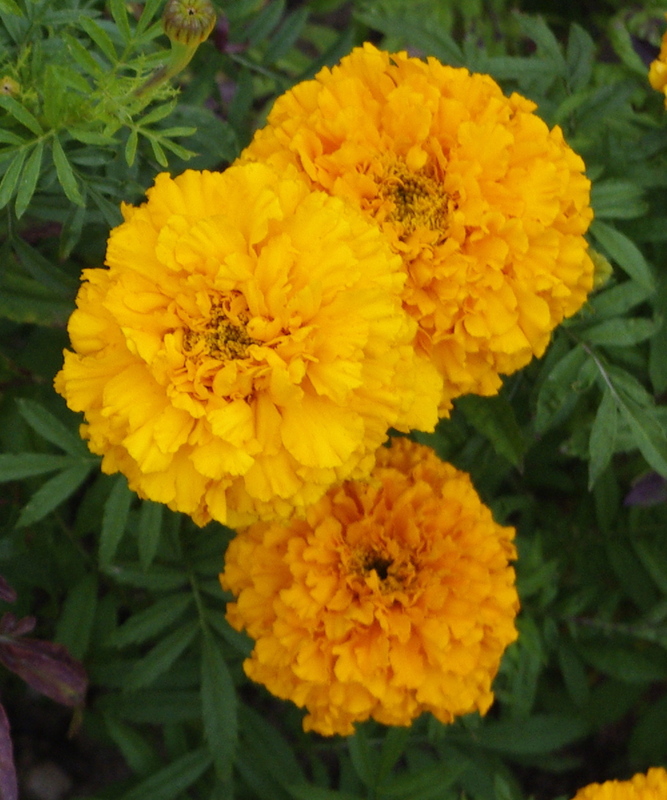 The yellow colouring in various types of tagetes (marigold) is a spectacular example. 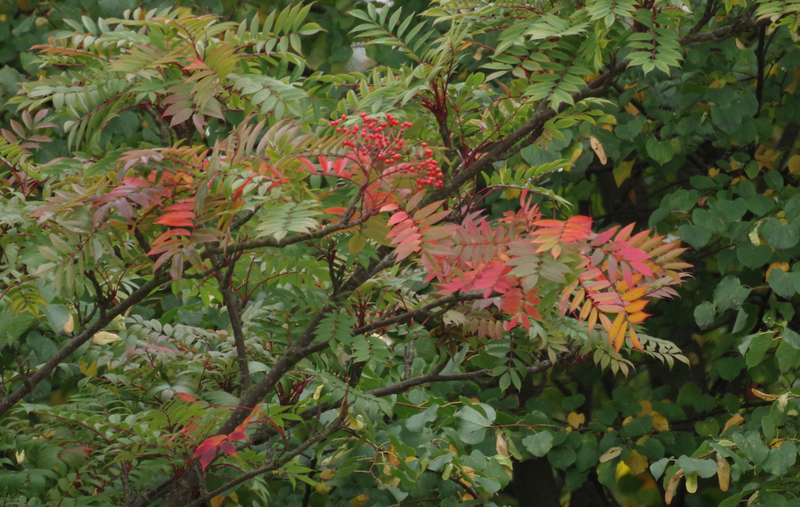 Many leaves contain xanthophyll, which shows up in the autumn, when the amount of chlorophyll present decreases, so that its green colour no longer predominates.